Treating pain is not a set number of treatments. It depends on different factors! There are several factors that go into just giving a hard and fast number. It depends on several factors. I’d like to share the critical factors that go into decide how many acupuncture visits do I need? Have you had pain that took on a life of its own? Do you have degenerative disc disorders, pain in the shoulder that you just kept “pushing” through? Is there a prior surgery that you had on your back? Or simply, have you had this pain that comes and goes, with repeated regularity? If so, chronic pain may respond quickly or slowly, to get the pain down to a tolerable level. However, doing acupuncture after the acute crisis is over, to treat the underlying cause of the problem- the tight muscles- the crunchy tendons that are shortened, for example, will help you get longer lasting control of the pain. Sometimes, however, the chronic pain takes longer to treat because there is more damage to take into consideration- nerve pain, disc problems, arthritic, scar tissue from prior surgeries. All of these factors may make the treatment course longer. Contrast this to a spasm that you get from a weekend cleaning binge. This is limited to muscular overwork. There is no prior history of this occurring before. These types of conditions, e in as a little as one to four acupuncture visits to resolve. How much do you aggravate your pain? Do you need to use your shoulder, back, or wrist in your day-to-day job? Hairdressers, professional movers, plumbers, and weight lifters are going to get pains in the places of their body that they repetitively use every day. Without the ability to rest, the body part will keep getting inflamed. This almost practically guarantee’s that you will double your treatment time with acupuncture!!! So if it takes two months to treat, the constant re-aggravation will push it out to four months or more. Sometimes the aggravation is so extreme that it undoes all treatment! Those cases I cannot really help much. However, if you do not give up easy, steady, regular acupuncture can really help propel and push the pain forward. For those who will keep trying to use acupuncture, we can get the pain down to a reasonable and tolerable level. Anything you can do to reverse any form of pain will incrementally, help you rise above the pain. I have treated a lot of tennis elbow in my time, and many cannot stop their day to day activities because anyone who has the condition is used to using their right side often. Even holding a mug of coffee can be very painful. Typing and texting are agonizing. Using an elbow brace, a 46 year old mom of three was able to get her pain down from a 10 to a tolerable 2. Best of all she was able to hold her coffee mug and resume typing at her job. The acupuncture pushed the pain over to a zero, once she started using the brace. It gave the elbow a chance to rest and gets healed. The question people ask, despite me aggravating the condition, can I still get benefits from acupuncture? Yes and no. Sometimes you can get ahead of the pain, with intensive treatment, sometimes you cannot get ahead of the pain, due to the aggravating activities. If you could get rid of the pain, or at least reduce the pain to manageable levels, would you be open to this? Other times, you can get ahead of the pain, or get it down to a level that is manageable. In many cases, if you laid off of the activity that aggravates it, or minimize the pain, it can be treated so there is no pain anymore! Do not let the pain get back to its original level of pain! Another important factor in answering the question -how many acupuncture visits do I need?, The one thing you don’t want to do is wait until the pain gets worse. Acupuncture sends signals to release granulocytes, anti-inflammatories, and repair cells as well as to shut off the pain. But it isn’t a one-time deal. Acupuncture stimulates these signals so the brain acts upon it and the pain levels go down. The last thing you want to do is nurse your treatments. Acupuncture must be continuous and to help you get past the pain. For people in severe pain, acupuncture’s effects last between 1 to 3 days after the sessions. For severe pain, you have got to treat regularly. 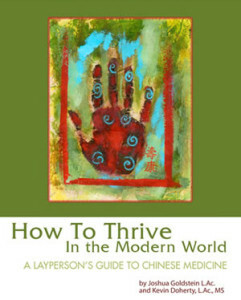 You need to treat regularly, because we are driving up the body’s ability to circulate blood flow to the area of pain. The body needs consistent input from the acupuncture to really get the body’s anti-inflammatory and pain reliving substances that the body produces. Getting acupuncture treatments closer together, will prevent the pain from returning back to its original level of severity. For example, if you have moderate pain, getting acupuncture twice a week will help. If the pain is severe, then getting acupuncture, three times a week for some to three weeks can make unbearable pain – more bearable or be eliminated completely. For severe pain that is extremely debilitating, off the charts pain, acupuncture can be done daily, and should be done this way. After a week or two, patients have been able to get their pain down to 30% or less. They were able to do so because the sheer repetition of treatments pushed and prodded the body to heal itself, on an incrementally fast level. I have to confess, I get callers who tell me that their so-and-so friend, got their pain reduced in one session. These people expect that the result their friend had, is going to go the same way with their condition. That sadly, is not necessarily the case. So I have to take the time to go over what has happened over their lifetime to give them this pain. I do this to see how chronic their pain really has been. I don’t want them to get discouraged that the nagging pain in their back for 15 years that is screaming in their face will not be gone in one visit. It’s managing the expectation and really working conditions case, by case, that will get you the best results. Acupuncture frequency is a therapy not a pill! Acupuncture frequency for pain varies. However, many come in thinking it is a one time deal. This is because people are used to taking pills and feeling relief. But if you were to examine that, the pain keeps creeping back, causing you to take more and more pills to prevent the condition from returning, so you really aren’t getting ahead of the pain nor curing it, rather you are just managing it. There has been an emphasis on medicine to use less medication due to the opioid epidemic. A recent study showed that aspirin was no better than some heavy duty pain medications. The question being asked, is it worth the side effects if it doesn’t help so much? I usually will do a “trial run” of initial acupuncture visits, to determine how many acupuncture visits you need for more chronic conditions. Depending on how fast your body responds, this is what I base future predictions as to how many visits you will need. Seeing how well you respond to treatments is called your rate of response. Some people respond quickly, some respond slowly, and others not at all. What I mean by respond is that do you feel relief on the table? (That is a quick response) How long do you feel the relief for? (Longer duration means quicker response. Shorter duration means slower response). Did it take you three visits to actually feel any response? (That is a slower response). Do you still feel the pain but feel it less now? (That is a positive response) The trick is to do the trial run to see how your body reacts to the acupuncture. If the treatments are timed right it does create the cumulative beneficial effects of getting blood flow to a region, repeatedly. After the initial series, we have a clear indication in what direction you are going in and I can give you a better estimate of the course of treatment. So I hope these points have helped you clarify the question So, how many acupuncture visits do I need? Tune into my next article, where I will be talking about frequency in conditions like anxiety, fatigue, and depression. Are you caught in a vice of pain with no hope in sight? Are you just living with pain? I invite you to call me and see what I can do to help you get out of pain and back into life. I give you 100% of my effort with a no-nonsense assessment of your case. I don’t pressure you into anything. Located in the heart of Bergen County, NJ, our Ridgewood office treats pain and provides stress reduction and energy enhancement treatments. You can call me at 201-444-7150 or email me at integrativeacupuncturecenter@gmail.com. I look forward to hearing from you.